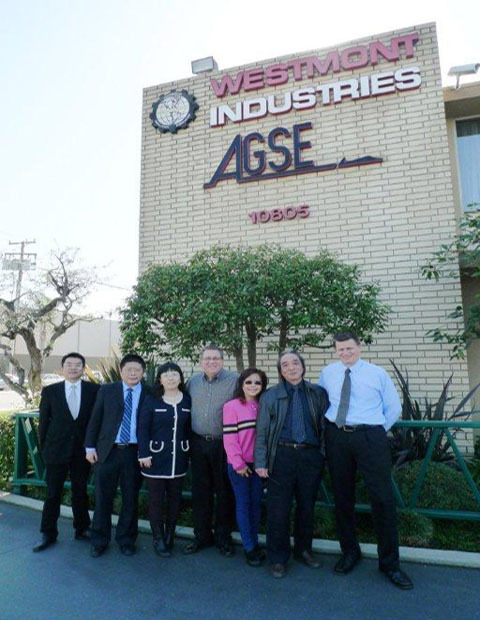 On Feb 19th 2014, the senior engineer Mr. Lou Shao Ming from Wisdom Shanghai, the first AGSE repair center in China, came to visit AGSE faacility at Santa Fe, LA. During his stay, he received 3 day intensive operation training, which covers a wide range of engine handling and transportation equipment, including GE 90, Genx – 1B, Genx – 2B, Trent 900 and CFM56 series. WISDOM Shanghai is AGSE’s first repair center. It is conveniently located at Shanghai Pudong Airport. Wisdom Shanghai provides our Chinese customers with a fast and efficient maintenance and repair service. 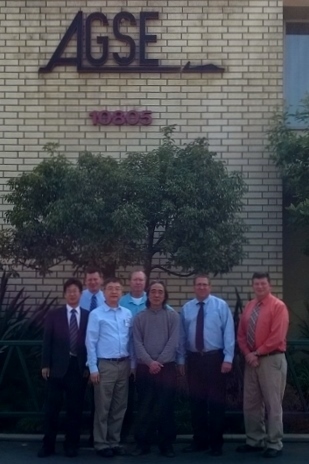 On March 2, 2013 a delegation of 3 technicians from Air China Group and Ameco ( Aircraft Maintenance and Engineering Co.) came to visit AGSE and received a 3 day maintenance training at AGSE facility located in Santa Fe Springs, CA. Ameco Beijing provides maintenance, repair and overhaul services for airframe, engines and components of commercial aircraft. It also offers services in training, engineering and logistics, as well as GSE calibration. Ameco Beijing authorized by CAAC acts as a Designated Modification Design Organization Representative (DMDOR). It is a MRO provider licensed by CAAC, FAA, EASA as well as the regulatory authorities of many other countries. Ameco Beijing¡¯s facilities mainly include: a floor space of 70,000-sqm A380 hangar; a floor space of over 50,000-sqm 4-Bay hangar; a 20,000-sqm painting/overhaul hangar; a 10,000-sqm enclosed and temperature controlled painting hangar; a 26,000-sqm engine repair/overhaul workshop and an engine test cell; 20,000-sqm component workshops; a 15,000-sqm Ameco Aviation College (AAC), a Central Warehouse and a Calibration & Testing Center. A delegation of 4 people from Shanghai Wisdom Co - AGSE China Maintenance Center came to visit AGSE from January 22 to February 4, 2013. The delegation received a 5 day AGSE equipment maintenance training class at AGSE facility located in Santa Fe Springs, CA. The Shanghai Wisdom Co. is AGSE's first maintenance center to inspect and repair AGSE equipment in China. 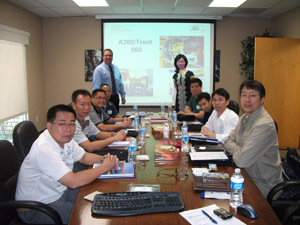 On 08 June, 2012, Advanced Ground Systems Engineering, LLC (AGSE), AI Systems Int'l and China Sichuan Haite Ind. Co. Ltd. have entered into an Agreement to set up the first AGSE Maintenance Center in China. The Center will be located in Shanghai Pudong International Airport. AGSE authorizes the Center to conduct the inspection, repair and normal maintenance of AGSE's equipment in China; AGSE authorizes AI Systems to supervise the Center. AGSE Maintenance Center expects to have its opening in late June 2013. Since 1973, AGSE has become the leader in the development and manufacture of innovative, reliable and economical Engine Handling and Aircraft Access Ground Support Equipment. AGSE first entered the GSE industry by designing engine handling and transport equipment for the RB211 powered L1011. AGSE has expanded its offering of Engine Handling to the broadest and most sophisticated aircraft in the industry, including the A380, B787 and Regional Jets. In 2009 AGSE expanded its product line with the acquisition of the Stanley Aviation GSE brand which includes Engine Stands, Aircraft Towbars and military GSE. 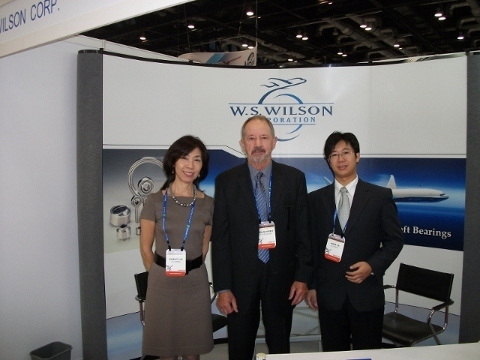 WS Wilson and AI Systems have successfully participated MRO Asia 2011 in Beijing from Nov 8 to Nov 10. WS Wilson (WSW) is one of the top aviation bearing stocking distributors in the world. With AI Systems as its China Representative, WSW has successfully signed consignment and LTA contracts with TAECO Xiamen, TAECO Shandong, Gameco and Ameco. 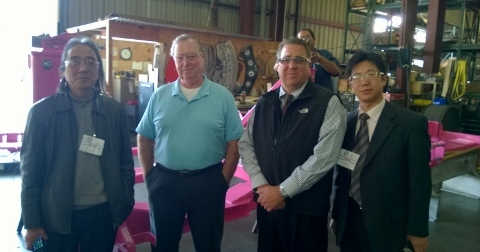 We are very proud to announce that Advance Ground Systems Engineering Co. ( AGSE ) and AI Systems Int’l Corp. have successfully sponsored a T940 Engine equipment operation and maintenance training at AGSE?Santa Fe Springs, California facility last week. A group of eight engine engineers from China Southern Airlines Group and its maintenance facility GAMECO received the training. This T940 engine equipment operation training is made for the receiving of the first A380 in China by China Southern Group, the largest Airlines in Asia by fleet numbers. Avibank Services authorizes AI Systems as Distributor! Avibank Services is proud to announce that AI Systems, Springfield Gardens New York, is an authorized representative in the commercial aerospace aftermarket in China..
As an authorized representative for Avibank Services AI Systems shall have the responsibility for marketing and selling Avibank Mfg. products (Supplier Code 84256) to these facilities. BaseWest Inc. authorizes AI Systems as Worldwide Distributor! BaseWest Inc is pleased to confirm that AI Systems International Corp, is authorized to inventory, sell and support the following products manufactured by BaseWest. 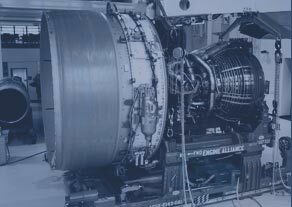 Pratt & Whitney authorizes AI Systems as their Tooling Distributor! Pratt & Whitney Tool Support Services is pleased to authorize AI Systems as our Tooling Distributor to sell engine support equipment manufactured by Pratt & Whitney for customers located within the Peoples Republic of China, including Hong Kong. I am excited to provide these customers with continued superior products and support which will include all Original Equipment Manufacturers warranties and technical support. Advanced Ground Systems Engineering LLC (AGSE) is pleased to announce the signing of an agreement to purchase the assets of Eaton Corporation’s ground support equipment product line, which operates under the Stanley Aviation trade name and had sales in the prior 12 months of $3.0 million. 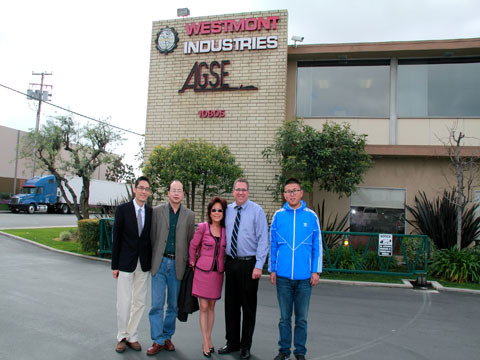 AGSE plans to combine the engineering, manufacturing, sales and support of Stanley GSE products with those of their own at their headquarters in Santa Fe Springs, CA. “AGSE is excited by this opportunity to expand and supplement our product lines of Aircraft and Jet Engine Ground Support Equipment and plans to continue to market and support Stanley GSE as part of the family of AGSE products,?said Diane Henderson, President. “During this transition, we appreciate the patience of the GSE customers and will provide additional information following the closure of the transaction.? AI Systems launches new website!